In May, I reviewed the book Glory Be by Augusta Scattergood, and at that time I mentioned the fabulous Mother-Daughter Book Club sponsored by Scholastic. Today I want to tell you more about the club and I also have a great giveaway. The Mother-Daughter Book Club started in May with four selections geared to middle grade readers. 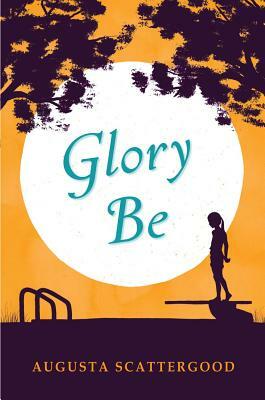 Glory Be was the first title, which I just loved. Starting in June, Scholastic will pick two titles a month. There are so many things I love about this club. First, young readers will appreciate the variety of books that are featured. In May, readers could choose from historical fiction, fantasy, and contemporary fiction. In June, one book is light and fun and the other is more serious. Young girls are sure to find something that catches their interest. Second, I am impressed with the resources available on the Mother-Daughter Book Club site. For each book, readers will find a summary of the story, information about the author, discussion questions, and a recipe based on the book. The questions help focus both the adult and the child and the recipe adds some fun and an opportunity to talk about the book in a less formal setting. Third, I like the flexibility that the club provides. 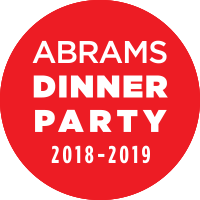 Formal book clubs, homeschooling parents, and any adult-child pair can participate in the club. 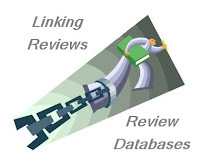 The resources and recommendations are available for everyone. Finally, don't forget to check the site for the monthly sweepstakes. One lucky mother-daughter book club will win a Skype visit with a club author. In June, the author is Sarah Mlynowski. 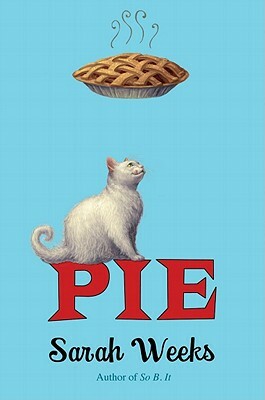 Pie by Sarah Weeks, which takes place in the 1950s, tells the story of how Alice learned to make her late-aunt Polly's famous pie crust with the help of cranky a cat named Lardo; along the way she learns some important lessons. 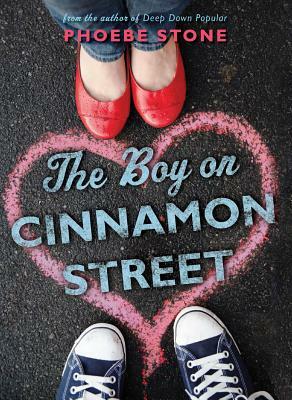 The Boy on Cinnamon Street by Phoebe Stone is about how seventh-grader Louise Terrace learns that true happiness comes only after she learns to accept herself and face up to a family secret. 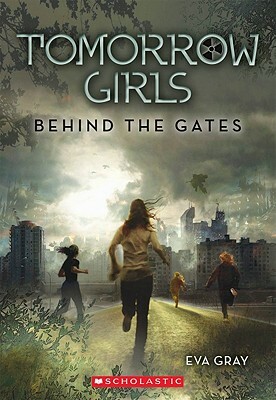 Tomorrow Girls: Behind the Gates by Eva Gray is a dystopian novel in which thirteen-year-old Louise and Maddie learn to survive in a world that isn't what it seems. This month the Scholastic Mother-Daughter Book Club selections are Sarah Mylnowski's Whatever After: Fairest of Them All and Jennifer A. Nielsen's The False Prince. 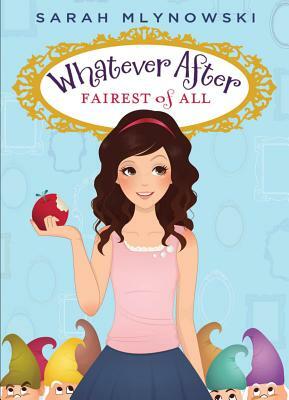 Whatever After: Fairest of Them All: In the first of a planned series, fifth-grader Abby and her younger brother, Jonah, are getting used to their new school and new house. One night Jonah discovers that an old mirror in the basement may have something to hide. When Abby goes to investigate, the mirror engulfs the kids, sending them to fairyland. In this fun (and punny) story, Abby and Jonah try to save Snow White from eating the poisoned apple. Unfortunately, they later realize that by changing the story, Snow White might not meet her prince and so can't live happily ever after. Can brother and sister restore the fairy tale and still get home in time for school? 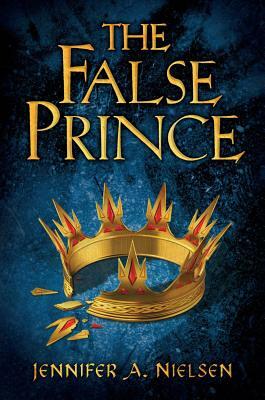 The False Prince: In the first of the Ascendance Trilogy, young readers are transported to a kingdom in turmoil. The prince and heir to the throne of the land of Carthya has been missing for four years, leaving the country in desperate need of a king. In hopes of preventing a war, Conner, a nobleman, chooses four orphan boys whom he plans to educate and train so one of them can pretend to be the prince and wear the crown. One of those boys is Sage, a bit irreverent but also smart enough to realize that the way to survive is by besting the other boys and thus get picked to be the false prince. This is an action-packed book with great characters and many familiar fantasy elements. Although astute readers will guess that Sage is destined to be prince, plot twists and tense moments will keep them engaged. The giveaway: Thanks to the Scholastic Mother-Daughter Book Club, I'm able to host this great giveaway. One of my readers (US/Canada mailing address only) will win a copy of both June book club selections. That's right, one winner will get both books! All you have to do to be entered to win is fill out the form. I'll pick a winner via random number generator on June 15. Good luck! My daughter and I started a M/D book club when she was in 3rd grade...she and her friends will be starting 6th in the Fall and our group is still going strong! Our summer group read is The Mysterious Benedict Society by Trent Stewart. We just completed The Lions of Little Rock by Kristin Levine and had a skype discussion with the author -- it was a great book and the author was a delight. I really need to check out this book club! Perfect for my daughter and I to do, especially through the summer! Definitely going to check this out. my girls are big Sarah Mylinowski fans, and one of them just read and liked PIE so I'm convinced the club has good taste! Thanks for letting us know about it. My granddaughter (age 13) and I have our own grandmother/granddaughter book club going. I'm so glad to see that a well-respected outfit like Scholastic has put their support behind encouraging mothers and daughters to read together. I think my Goddaughter would love this, she reads almost as fast as me. What a great concept! And I do love their selections! This sounds perfect for middle grade mother/daughter book clubs!